ImmuNext is developing immune-based therapeutics to treat patients with immune-related disorders, including autoimmunity, cancer, transplantation rejection, and infectious disease. We are targeting critical immunomodulatory molecules that either promote or suppress immune responses to restore immune homeostasis and cure disease. Using antibody-based therapeutics, a spectrum of newly identified molecules are being targeted to achieve disease remission. Anti-VISTA, a negative checkpoint regulator antagonist for the treatment of cancer, is a clinical stage program. VISTA agonists for the treatment of autoimmune disease. Partnered with Hoffman-La Roche in December, 2016, ImmuNext is developing antibodies to VISTA to suppress immune response in multiple inflammatory diseases. The impact of these antibodies is due to the direct suppression of immune cells leading to immune suppression and long term tolerance. This represents a new class of checkpoint inhibitor agonists with broad utility in immunotherapy. We are also pursuing a novel target, VISTA receptor (VR). By exploiting VR we open up an entirely new strategy for agonizing the VISTA pathway. Anti-CD40L antagonists, re-engineered for safety and efficacy. Anti-CD40L was partnered with Sanofi in January, 2017. CD40L (CD154) is a highly validated, superlative therapeutic target in autoimmunity and graft rejection. Dr. Noelle, who discovered CD40L, has re-engineered antagonist antibodies to avoid thromboembolic concerns while maintaining efficacy. Non-GLP studies in non-human primates have shown that our engineering produced a safe and potent compound. 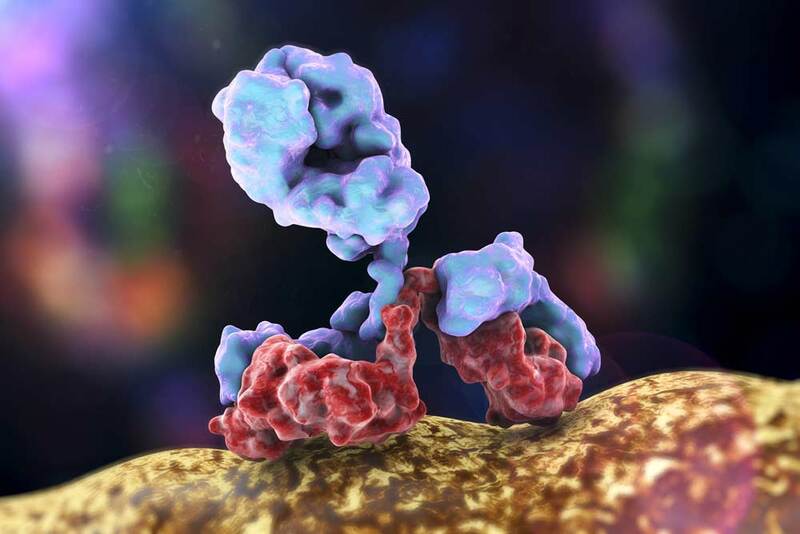 Partnered with Eli Lilly in March 2019, therapies targeting a novel transporter target are shown to regulate immune cell metabolism. Target validation studies (ex vivo and in small animal studies) have revealed our target to operate independently and upstream of known immune checkpoint regulators. This opens novel opportunity for treatment of indications with currently limited therapeutic avenues. Additionally, we maintain ongoing partnerships with clinicians working with patients who have naturally occurring genetic deletions of our target. This affords us the opportunity to derisk our target in a preclinical setting. ImmuNext has developed a new class of CD40 agonist antibodies to stimulate the immune system, while at the same time, targeting antigenic epitopes. In contrast to blockade of checkpoint inhibitors, immunostimulatory antibodies, such as CD40 agonists, can be used as potent adjuvants for vaccine-based therapy or to enhance overall immune responses. Combining the stimulatory activity of CD40 with antigen targeting allows for focused tumor-specific immune responses, particularly against neo-epitopes identified from exome sequencing of patient tumors. These qualities make CD40 agonist antibodies an attractive therapeutic target for cancer immunotherapy.